In 1986, shortly after being founded in the UK, Make-A-Wish UK granted its first wish to Anthony, a little boy from Liverpool who was being treated for a brain tumor. Anthony’s wish was to go to Disneyland, and after months of treatment, pain and suffering, his wish was granted – Anthony created memories on his wish that he would never forget – helping him and his family through an incredibly tough time. In the 32 years since that first wish, Make-A-Wish UK has gone on to grant over 11,000 wishes to children like Anthony who have or who are currently battling a critical or life-threatening illness. Wishes are as varied as the child themselves and have included the child starring in their own films, walking with dinosaurs, going on an amazing holiday, meeting a celebrity hero, or having a bedroom makeover. Wishes might not be a cure, but that doesn’t make them any less important or life-changing. Why? Because a wish is magic. It is hope, it is the smile and the laugh of a child, it is respite and it is a life time of memories for a family to treasure and damn it, that is something very powerful. For me these children, their families and their stories are as motivating as they are moving. I simply cannot imagine what it must be like to face a challenge that no child or parent should have to. 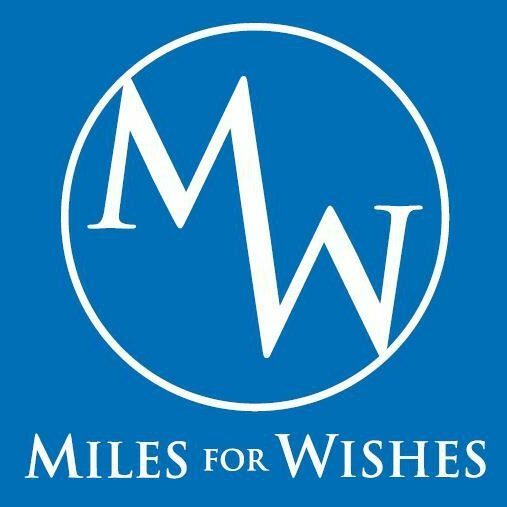 So, this challenge is my tribute to those children, to their families, to the staff and volunteers at Make-A-Wish who work so tirelessly to turn those individual wishes in to reality. The challenge – to run from Liverpool, the City where it all started, to Make-A-Wish UK’s HQ in Reading, Berkshire. That’s 7 ultra-marathons in 7 consecutive days, wearing a different wish related costume each day. I’d like to say thanks to Jamie McDonald, also known as AdventureMan, for the inspiration for this challenge. Reading about his historic solo run across Canada dressed as the Flash, raising a huge amount of money for Sickkids, has inspired me to do something a little bit different this time, something that reflected the spirit of Make-A-Wish. I couldn’t do any of these challenges without the ongoing support of my sponsors (and family and friends), so once again I’d just like to thank them for their ongoing support and for helping me turn my ideas in to reality. Do you foam roll? . I've really only consistently been rolling in the last 3-4 months, so I'm keen to see what others opinions of it are!? Does it help you? . #AD - I have seen a benefit from it so when I started seeing posts from the guys at @pulseroll I was intrigued. Pulseroll go beyond your standard roller, using vibrating technology to further enhance your recovery. The idea is great and apparently more akin to a massage. They are used by @gbboxing and @britishwl so great endorsements already. So, they've sent me this red beauty to support the 5 runners as they take on the #WeRunThePeaks challenge in August. . In advance of that, I'm going to give it a test over the next 2-3 weeks incorporating it in to my training and recovery plan and I'll give you my honest review. I'll share more on my stories as I get to start using it. #flatlay ahead of tomorrow's @phoenixrunninguk 7hr event. . ✅ Suncream and @runr_uk hat (gingers and sun are not the best combo). ✅ Feet and legs treated with the best insoles and compression courtesy of @enertorglobal and @rymorasports ✅ Lightweight kit list - making the most of what sounds like a good HQ and tuck shop, I'll have my hydration vest as a back up and take a view based on the heat. ❎ Wish they would but I dont think the Mr Freeze ice poles will last 🥶. . Aiming for 50km / 31 miles minimum tomorrow, if I can get any more than that I will be really happy (stretch target is 40 miles, but I think the heat is likely to make that hard). TOP OF THE WORLD. . Amazing couple of days and really nice to spend some time with my #WeRunThePeaks ladies @1993jessicakate and @clairehobs talking route, tactics and Jess's goals for #VLM2019 . Followed this up with a Run-Bike-Run - this picture was at the top of Beacon Hill in Ellesborough, it's a leg and lung buster of a climb, but it blew out some cobwebs. Feeling good, feeling strong, feeling fired up!!! !